Let me start by saying that our crab meat makes some amazing crab cakes. That being said, our company mantra for the past few years has been “it’s not just for crab cakes!”. This point was hammered home to our team last week at a seafood conference in Florida. 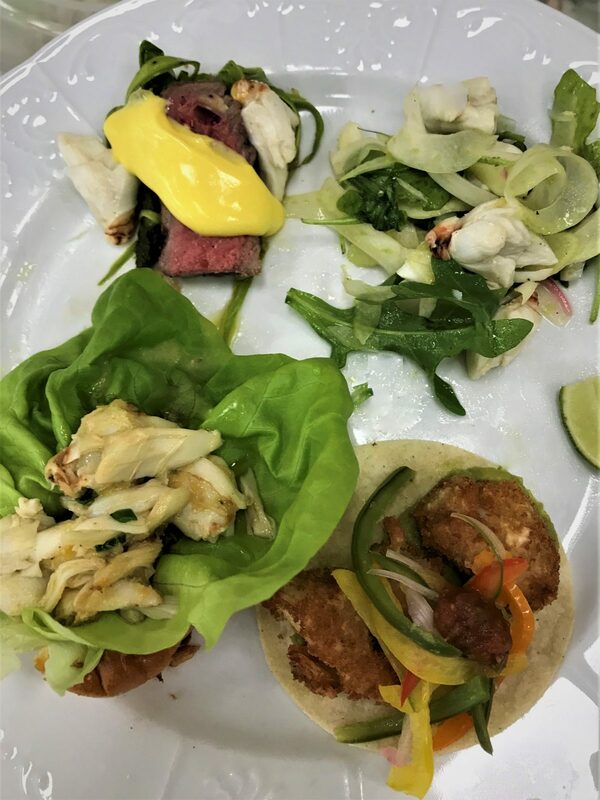 One of the lectures was on food trends and how the younger generations, Millennials in particular, are looking for new and innovative menu items and the move from the tried and true classics, like crab cakes, is beginning to appear on menus and dinner plates across the country. The lectures were followed by a company presentation with a tasting of products. Of the dozen vendors presenting to a group of seafood buyers for national chain, retail and food distributors, I felt very confident in the menu I had planned for that afternoon. Over the past nine years that I have been with Newport International allot has changed in the seafood business and the food business as a whole. Consumers are much better educated and their expectations in all aspects of their purchasing process have evolved. People want a “global experience in a local setting” and we try very hard to show our product as it can apply to almost all types of end users. The sweet, mild flavor of our crab lends itself to most ethnic cuisines as well as on trend and seasonal applications. This was the menu I was going to make. With a little over an hour to put together a four course tasting for 15 guests, I started working on the menu. Something light, something rich & decadent, something seasonal and a very twist on a rather standard menu item. Having lived in New England for most of my life, I have consumed more than my fair share of lobster rolls (including a 5 day trip this year to Portland, Maine, the lobster mecca). They are all usually good (even a “bad” lobster roll is still usually pretty good) but some really stand out. One of my favorite one’s is from Abbots Lobster in Noank, CT. Fresh steamed lobster piled on a hamburger roll and covered in melted butter. I wanted to take this idea, substitute crab for lobster and up the flavor profile a bit. First we made a compound butter with sweated shallot, ginger, a touch of garlic and some Meyer lemon juice. Then we toasted a brioche roll with butter and lined with a piece of Boston/butter lettuce, tossed crab with the butter and place a small scoop in on top of the lettuce. Simple with a slight twist, a great start to a crab meal. Next was the seasonal offering and a little something lighter on the palate. Key lime juice and honey pickled red onions were the first step. Then some very thinly sliced fennel for a bright, anise flavored crunch. Some baby arugula for a peppery bite and a 3 citrus and EVOO vinaigrette. 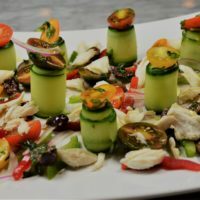 Toss it all together with some jumbo lump crab and garnish with some orange supremes and you have a beautiful and flavorful seasonal crab salad. Tacos seem to be on almost every menu in some for or another. What about a “crispy crab taco with mixed pepper escabeche”? Well to make it unique the tacos are made from fresh soft corn tortillas, a little spicy chipotle pulped avocado and topped with the roasted and pickled peppers and red onion. For the crispy part, we individually breaded and fried pieces of our Jumbo Lump crab. I crisp and crunchy panko breadcrumb crust hiding the sweet delicate crab meat. This was the risky dish as we have never tried this method and surprisingly the pieces of crab held up quite well to the process after a few adjustments to the consistency of the batter. The final dish was a slight update on one of the most classic crab dishes, Steak Oscar. The asparagus was served a little different as we shaved it into long strips (like asparagus linguini) and sautéed until just soft before serving. For the steak I chose a NY Strip seared over hardwood charcoal and sliced. Pieces of Jumbo Lump Crab are set on top and lightly covered with a hollandaise sauce. Of course it wasn’t your standard hollandaise, we made ours with brown butter and Meyer lemon juice adding a rich nutty flavor countered by the bright, floral notes of the citrus. As we continue to look for new applications for our crab meat, we will continue to share new ideas on ways to wow your guests with crab! As I was packing for a week of business travel up and down the East Coast this week, I mentioned to my wife that I could not believe that Thanksgiving was only two weeks away. She looked at me a little confused and said “you do realize Thanksgiving is next Thursday?”, obviously I did not. Well that being said, we are officially in the Holiday season. As a chef with four children and a large family and extended family, this means a house full of hungry people for the next 6 weeks. As the Corporate Chef for a crab company, this also means there will be allot of seafood being requested and served. Well as I have said at least a million times by now, “crab isn’t just for crab cakes”, especially at the Cantwell house. 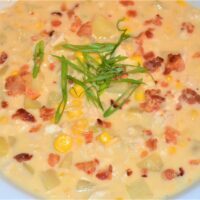 You might see crab benedicts for a Holiday brunch, warm crab dip with crostini and crudité alongside of some classic cheese fondue while decorating the tree, or a beautiful crab and corn soufflé sitting on the Thanksgiving table. 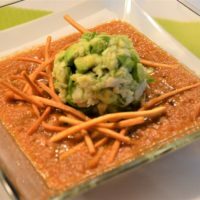 Over the coming weeks I will posting some of my favorite recipes as well as some new ideas of how you can enjoy the Holiday season with our crab meat. As always, please feel free to reach out to me with any questions or recipe requests in the comments field! Happy Holidays from the entire Newport International Family. “The National Fisheries Institute is a non-profit organization dedicated to education about seafood safety, sustainability, and nutrition. From vessels at sea to your favorite seafood restaurant, our diverse member companies bring delicious fish and shellfish to American families. NFI promotes the US Dietary Guidelines that suggest Americans include fish and shellfish in their diets twice per week for longer, healthier lives. NFI and its members are committed to sustainable management of our oceans and being stewards of our environment by endorsing the United Nations Principles for Responsible Fisheries. Our investment in our oceans today will provide our children and future generations the health benefits of a plentiful supply of fish and seafood tomorrow. From responsible aquaculture, to a marketplace supporting free trade, to ensuring the media and consumers have the facts about the health benefits of fish and shellfish, NFI and its members support and promote sound public policy based on ground truth science”. My class consisted of about 40 people from all aspects of the seafood business including producers, importers, end users, distributors transportation and cold storage. Within each of these industries, there were representatives from nearly every department including sales, marketing, purchasing, management and logistics. The program involved travel to four “seafood driven” destinations across the US with insights into almost all facets of our business. I will follow up with a detailed overview of the cities visited (Washington, DC, Los Angeles, Portland, OR and Portland, ME) and the activities we participated in, from a trip on a lobster boat to Ocean survival training. Lots of very interesting and educational stuff! We divided into two groups for our “class project(s)”, supporting SeaShare (www.seashare.org) “a non-profit founded in 1994 to help the seafood industry donate to hunger-relief efforts in the United States” or developing the following within our industry for NFI’s culinary education website “Dish On Fish” (dishonfish.com). I of course chose “Dish On Fish” as it is very much inline with my daily activities as Corporate Chef for Newport International. If you follow me on Facebook or LinkedIn you have seen a plethora of post over the past months sharing the wonderful seafood recipes from the talented chefs and dieticians on the websites roster. There were even a few that were about crab! these were shared not only on our personal pages, but also on our corporate pages for both Jack’s Catch and Pacific Cove brands. As we continue to grow the use of crab with our mantra of “it’s not just for crab cakes” we also hope to be growing the overall consumption of seafood. If you haven’t already, I recommend spending some time on both sites, there is allot of really great and exciting information supported by a vast industry that covers the globe with its reach. As the Corporate Chef for Newport International it is my job to be a resource of information for both our team and for our customers on our swimming crab meat and how to use it in a recipe. We offer a broad line of swimming crab in various forms, species, grades and price points. My goal is to work with our customers to find the best product for their specific needs. Many times they are shocked that I recommend a less expensive option from what they are currently using and I simply ask them to test it in their recipe. With a few adjustments to the recipe or the mixing/cooking process they can achieve a near match from a culinary standpoint with substantial cost savings that they can use to decrease their overall food cost or even lower the menu/sales price to increase overall volume of sales. With a variety of crab species and forms from our premium fresh pasteurized blue swimming crab to our value priced frozen crab we can find the perfect product for almost any dish and price point. Over the years we have also developed many specialty items to address the specific needs of our customers. This could be a “crab cube” designed to meet the portion control needs of a food manufacturer or individually quick frozen (IQF) pieces of jumbo lump to be used in manufacturing crab cakes. Many times these items are specific to a certain customers, item or process and other times they have more widespread applications. I think our IQF falls into this category, beautiful whole pieces of crab which a lightly glazed before being quick frozen to protect the quality of the meat. These can be used from frozen and allow the crab to mixed without breaking. 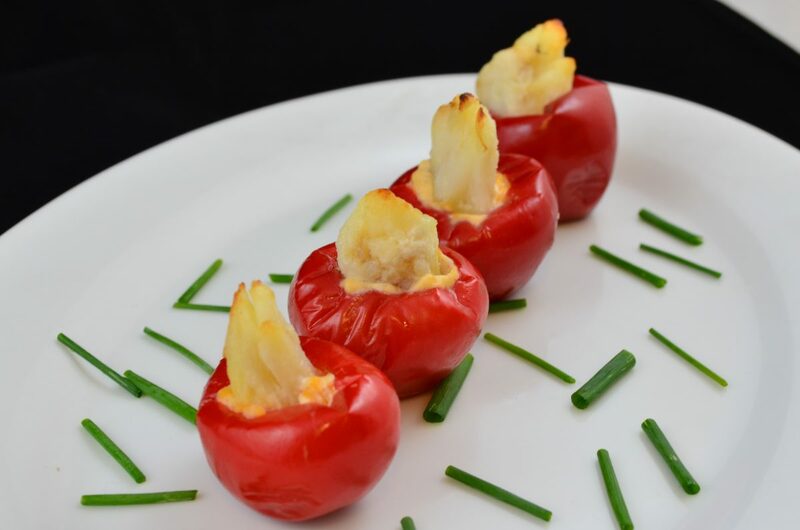 A few months ago I worked with some samples of our IQF crab in a variety of applications and found great success with a little adjustment to the recipe or process. The end result is whole pieces of beautiful jumbo lump crab intact and unbroken in your finished product at a value price as compared with the traditional refrigerated product. As with all of our crab, the IQF will perform best in certain applications, it is our job to guide you towards the correct option. Please feel free to contact me and we can discuss your specific culinary needs and together we will the solution, my email is j.cantwell@newportintl.com. As the chef for Newport International 99% of my culinary focus is on our extensive line of swimming crab meat. Over the years, I have made everything from endless crab cakes to Korean style fried soft crabs with kimchi slaw. I was thrown a curveball last week by the boss to work on some ideas featuring some IQF fish that we have in inventory. To be specific really nice 4oz pieces of salmon, cod and tilapia. I did the first round of testing by simply thawing the fish under refrigeration overnight. Then I pan roasted one of each fish to get a feel for the flavor and texture. Thinking of the most common applications I was going to go safe with the recipes and do a grilled salmon, pan roasted tilapia and fish and chips with the cod. Instead I went in a different direction and tried to tie in some crab meat and other proteins to make a unique entrée. 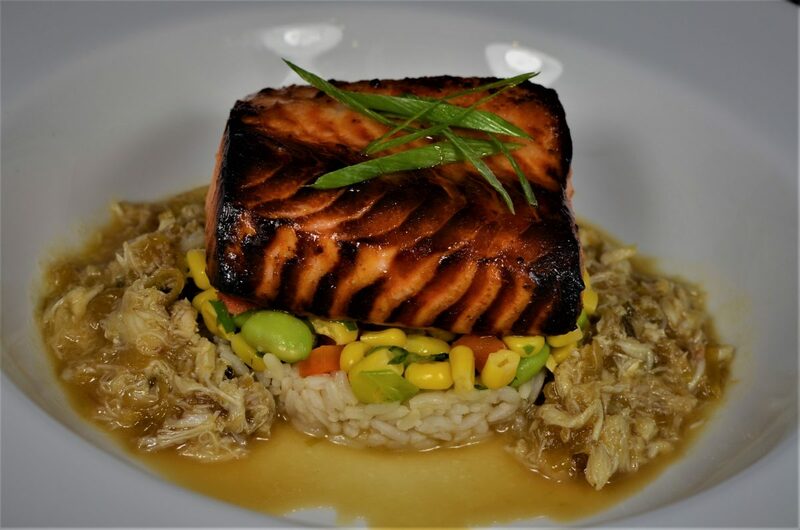 For the salmon I used a white miso and Mirin marinade, broiled until a deep bronzed lacquered finish and served with sushi rice, edamame succotash and a crab soy-butter sauce. Next is roasted tilapia stuffed with crab over wilted arugula and roasted tomato. The cod is crusted with a crab and chorizo hash served over a sauté of white beans, roasted tomato and baby kale then finished with steamed clams in a white wine broth. Overall, the fish work really well, from the most simple application to something a little more complicated. As always, I am available for answer any questions, cooking tips or recipes! Our crab meat is the perfect ingredient to create a romantic dinner to celebrate Valentines Day with the ones you love. 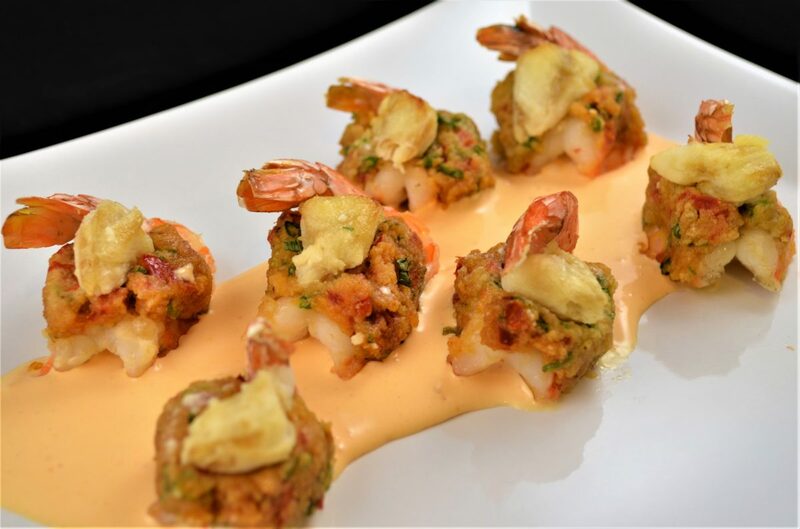 Whether you want to create a show stopping entrée like our Steak Oscar or some beautiful roasted shrimp stuffed with our jumbo lump crab, the options are endless. The sweet, delicate flavor of our crab lends itself to some many recipes deciding which one to make might be the hardest part. But, alas, this is why we give you options. Whether it is dinner for two or some beautiful hors d’oeuvres to share in front of the fire with a nice glass of wine, we have you covered. Our crab meat is the perfect addition to your Holiday celebrations. Whether it is a fantastic hors d’oeuvre, an elegant appetizer or a unique twist on a classic side dish, or crab is the ingredient your guests will love. From something as simple as mini crab cake bites to a roasted butternut squash soup with brown butter apple, crab and chives, the options are endless. The mild sweet flavor or our crab works great as a featured ingredient or as a great way to upscale a dishes with an exciting garnish. Your family and friend will love these new additions to your Holiday table. Recently, I was asked by our sales team to come up with some Italian inspired recipes for some of our customers. I really enjoy these kind of projects as they allow me to be creative and show just how versatile our crab can be. Of course there are the obvious options like crab stuffed mushrooms with a classic white wine sauce or something as simple as a crab cake with a charred tomato sauce, but I wanted to be a little more creative. The recipes I provide are in the hopes of getting our customers to say “wow, I never of thought of using crab that way”, and luckily, we hear that allot. 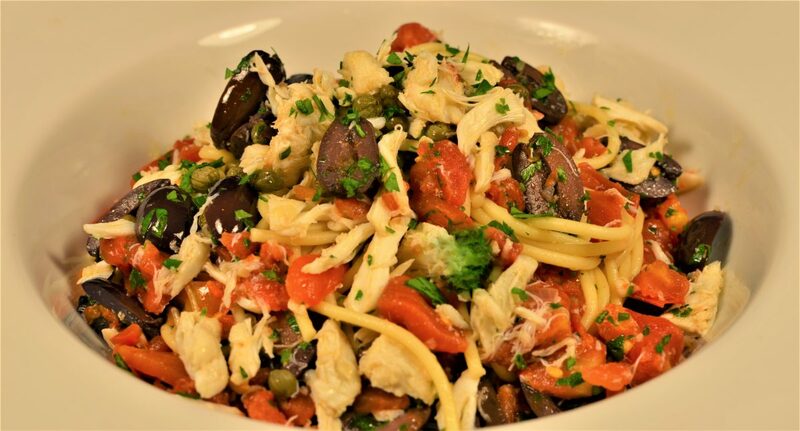 Crab is an easy way to elevate a simple pasta dish to a signature level with very little added cost or labor. A little crab on top of a classic bruschetta with fresh tomatoes and basil creates a unique appetizer that people will love. Crab also works very well when paired with fresh seasonal produce like sweet Summer corn, fresh peas or exotic mushrooms and truffles. 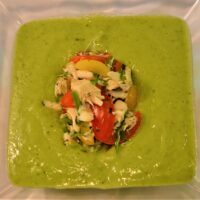 I have created a crab risotto with fresh peas, an upscale version of a classic pasta puttanesca, crab gnocchi in brown butter, a crispy arancini (risotto ball) with a creamy crab filling, an oversized handmade crab ravioli with a ginger-citrus sauce and a crab flatbread “pizza” with creamy ricotta, slow roasted tomatoes and fresh basil pesto. I hope you enjoy. One the most unique and popular crabs is the soft shell crab. The swimming crabs naturally molt, or lose their exoskeleton, many times over their lifetime to allow growth. Domestically this occurs from late Spring to early Fall. A new soft shell begins to form under the existing hard shell and the crab fattens up to crack the outer shell and remove its entire body. At this point the crabs are removed from the water and can be eaten whole (almost entirely) including the new soft shell. The end of the summer doesn’t have to mean the end of fresh soft shell crabs on the table. Our frozen soft shell crabs are available all year. They provide a great alternative to fresh and still offer that sweet crab flavor, unique soft shell texture and the wow factor when presented to quests. Our crabs are wild caught, naturally molted and come fully cleaned, ready to thaw and use. They come in a full range of sizes perfect for anything from an hors d’oeuvre to an entrée. They are great on a sandwich or salad but also a unique appetizer or garnish on a signature dish. They are best fried or sautéed to maximize the crispy texture. They work between a wide variety of cuisines from a spider roll to a soft shell po’ boy. They work well with a variety of batters, each lending itself to the flavor profile of the dish. 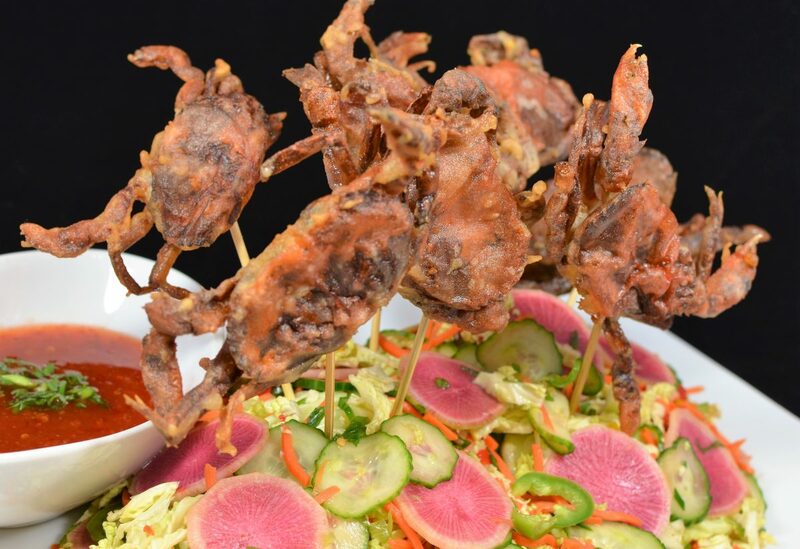 They work with current food trends, from use of the latest “hip” ingredient to current interpretations of classic dishes our soft shell crab are an excellent option. As we have been in “show season” for the past few months it has been a whirlwind tour of convention centers all over the country for our entire team. We are always looking for new applications for our crab meat. My goal is to get people thinking about the versatility and ease of use that our crab provides. 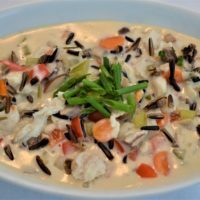 It is such a great way to take a regular dish and by simply adding some crab you can create an upscale signature dish with almost no added labor. With our broad line of crab products with sizes and prices to meet almost any food cost needs, the options are almost limitless. Over the past few weeks as we have traveled around the country at various shows, we continued to hear concern about the rising prices of lobster meat. This came from customers looking for a new supplier or looking for a replacement protein to even a sales rep from a lobster company saying how our product has become a bargain compared to the record high prices of lobster. Our crab is an excellent alternative to lobster! 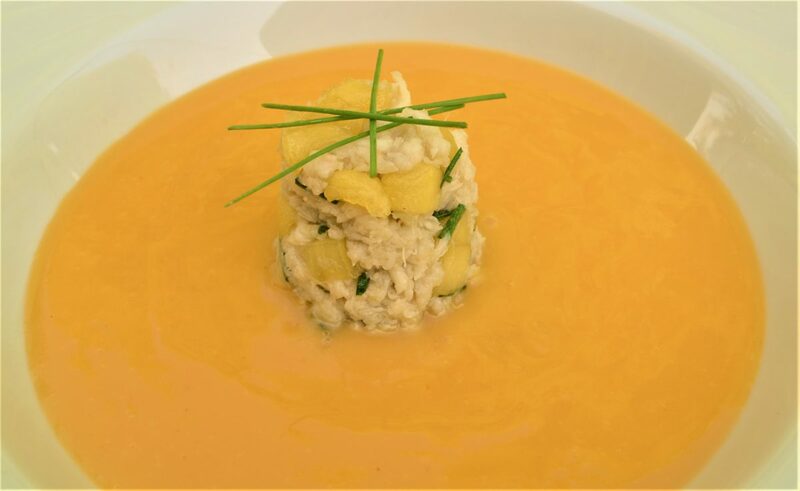 The sweet delicate flavor and luxury appeal of our crab works as an easy substitute in most lobster recipes, from soups and salads to pasta and entrees. When we were discussing this opportunity, the same need kept coming up, Lobster Mac & Cheese. This has become such a popular item on menus across the country, however, with the current price of lobster meat, it has become prohibitive from a food cost or menu price standpoint for many operators. So for the past week I have been looking at various recipes for Mac & Cheese and testing them with our crab meat in all forms from our premium pasteurized blue crab to our mid level red swimming crab and even our value priced frozen crab. 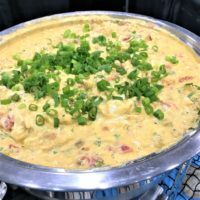 I tested recipes from a high end, white tablecloth version with Gruyere cheese and buttery toasted fresh breadcrumbs to a more unique flavor profile playing on a classic queso dip with crab and pasta. I even tested adding our crab to a premade mac & cheese as there has become a wide variety of very high quality ones available in recent years. 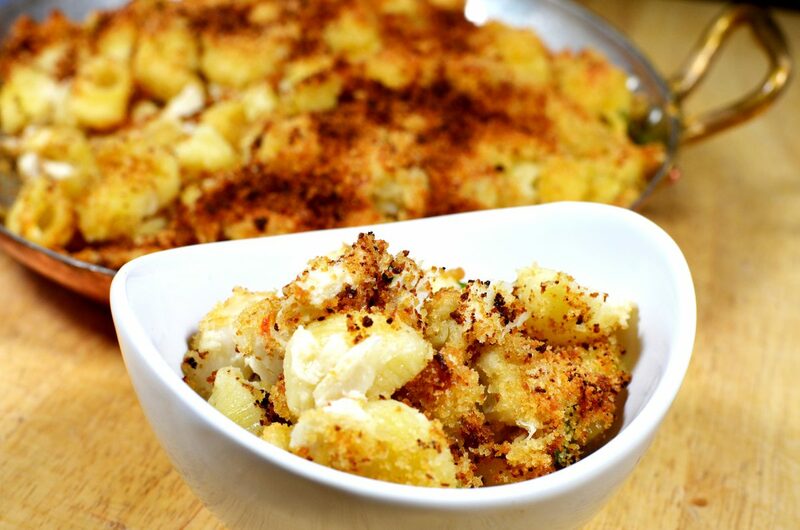 Take a look at our recipes to see how to create a signature crab mac & cheese.